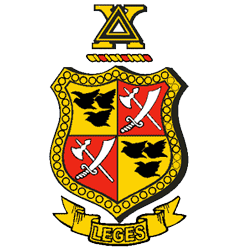 The members of the Delta Chi Fraternity believe that great advantages are to be derived from a brotherhood of college and university men, appreciating that close association will promote friendship, develop character, advance justice, and assist in the acquisition of a sound education. Delta Chi was founded on October 13, 1890 at Cornell University in Ithaca, New York. It was originally formed as a Law Fraternity but in 1922, the Fraternity opened its membership to men in all areas of study. In 1929, Delta Chi became the first fraternity to officially abolish the hazing practices associated with “hell week”. There are currently 137 chapters and colonies across the U.S. and Canada with over 107,000 initiates. The house colors are Red and Buff, and the house flower is the White Carnation. In 1960 an addition was build that added a new kitchen, a dining room, extra rooms, and the sundeck. In the summer of 2013, the house had major renovations done such as new hardwood floors in the living room and second floor hallway, new sinks and toilets as well as tiling the floor in the second floor bathroom, a new stove in the kitchen, and newly painted walls in the living room, on the sundeck, and throughout the basement. Our Rosenkrans Scholarship is one of the largest Fraternity scholarship programs on campus giving thousands of dollars to our members for grades, fraternity involvement, and length of membership. There is also a new member scholarship that can be given to new members as well as book scholarships.